DOWNSVIEW PARK TOWNS INITIAL RENDERING. SUBJECT TO CHANGE. 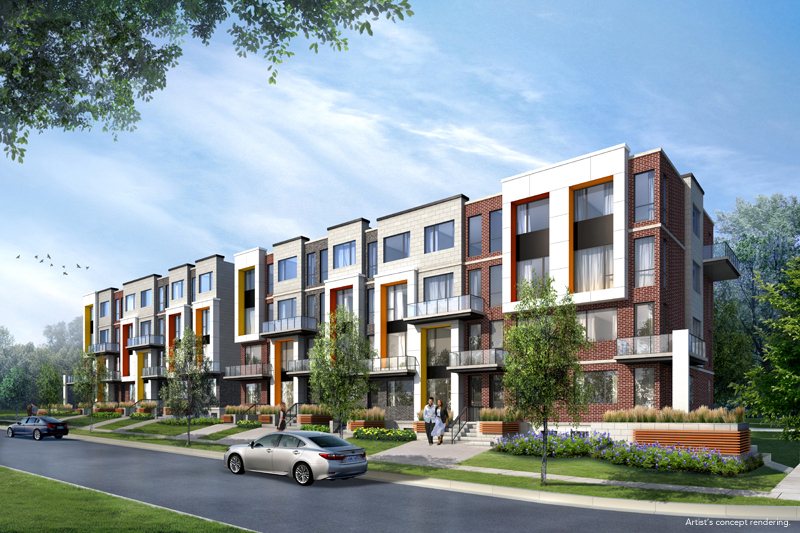 Greybrook invested equity capital alongside Stafford Homes and will oversee their development of Downsview Park Towns. The development site is located within the rapidly developing neighbourhood of Stanley Greene and is adjacent to one of Toronto’s largest urban green spaces, Downsview Park. The area is well served with excellent access to transit, is close to Yorkdale Shopping Centre, York University and Humber River Hospital, and it also provides convenient access to the 400-series highway network.